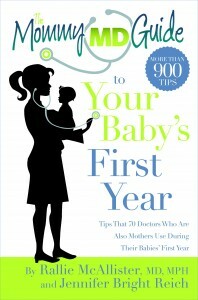 Dr. McAllister is cofounder of Momosa Publishing LLC and our resident Mommy MD Guide. 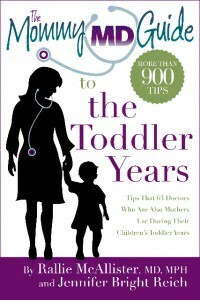 She’s a mom of three sons and a grandmom of two toddlers and a nationally recognized health expert. 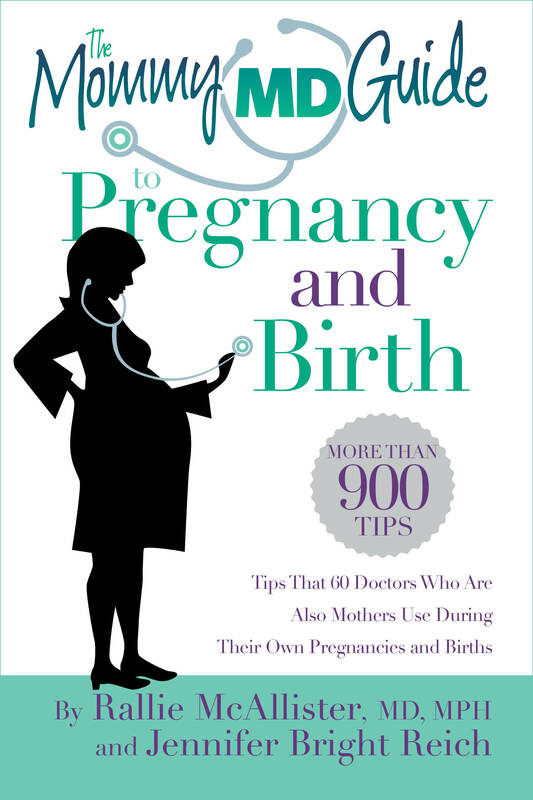 Dr. McAllister is the coauthor of The Mommy MD Guide to Pregnancy and Birth, The Mommy MD Guide to Your Baby’s First Year, and The Mommy MD Guide to the Toddler Years and the author of several books, including Healthy Lunchbox: The Working Mom’s Guide to Keeping You and Your Kids Trim. How many children do you have? I’m lucky to have three wonderful sons. Chad is now 29 years old and a sergeant in the U.S. Marines. He and his wife, Lindsey, have two children, Bella and Cam. My son Oakley is 15 and Gatlin is 14. I had Chad before medical school, and Oakley and Gatlin came afterward. What’s your specialty? 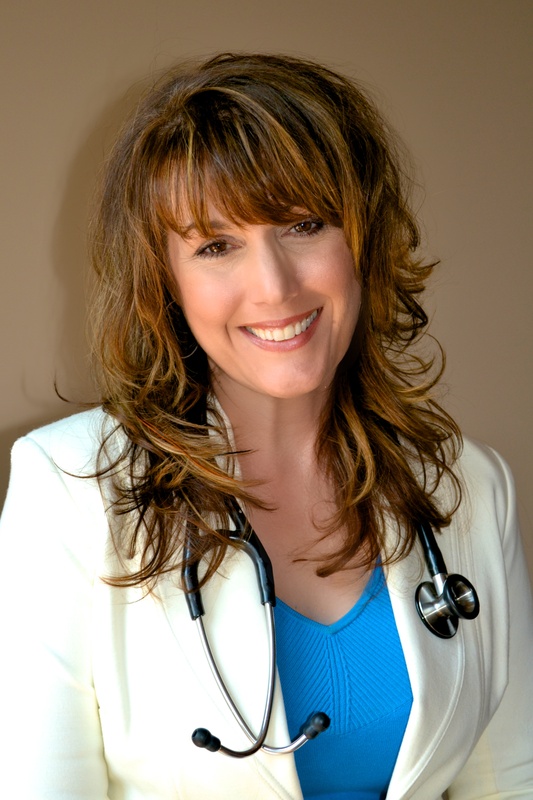 I’m a family physician, and I have a special interest in nutrition and natural approaches to health and healing. What’s the best parenting advice you’ve ever received? 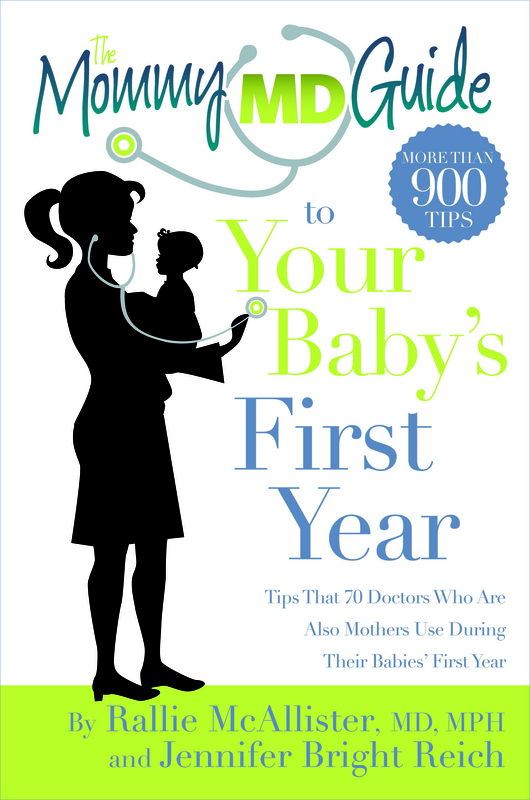 I have learned many great lessons about parenting from my patients. The best parenting advice I ever received is “Do the right thing right now.” Motherhood presents countless little challenges, and we often have to make split-second decisions about how to respond to these challenges. When in doubt, and when pressed for time, the best action we can take is the right one. What’s your own favorite parenting tip? Teach your children. I believe it’s important to remember that we are our children’s first and most influential teachers. As parents, we sometimes think our children know and understand more than they do. If we haven’t specifically taught our children a specific fact, rule, or value, we cannot assume that they know it, and we shouldn’t get upset with them or punish them for not knowing it. As parents, we have a wonderful opportunity to teach our children, and we should do this at every opportunity. It’s easiest when our children are small, and they’re eager to learn everything they can. It’s harder when they’re teenagers, and they sometimes act as if they know more than we do. Regardless of a child’s age, parents should never stop teaching. What do you wish you knew earlier about parenting? I wish I had heeded the old saying, “This too, shall pass.” As a new parent, I feared that if I didn’t correct an undesirable behavior in my child, he’d be stuck with it for life. Not true! Children naturally go through stages, good and bad. Sometimes, ignoring a certain behavior will extinguish it faster than noticing it and trying to correct it. How do you get your kids to eat healthy food? The vast majority of the time, I only serve food that is nutritious and wholesome. I don’t micromanage my kids’ eating habits. They’re welcome to prepare their own meals and snacks, and they have plenty of choices. But all the choices in my family’s kitchen are reasonably nutritious. They’ll find fresh fruit on the countertop and trail mix in the cookie jar. In the fridge, there’s yogurt, cut-up veggies, lean deli meat, string cheese, and bottled water. I don’t mind if my kids have cookies and chips every once in a while, but these kinds of foods aren’t something they’ll always find in our kitchen. How do you work exercise into your family’s life? We make exercise a priority. I’ve learned from experience that exercise doesn’t always happen if we don’t plan for it. When my children were small, my husband and I took them to playgrounds and to the park several times a week. We let them out of their strollers and allowed them to crawl or walk whenever it was safe. As they got older, we signed them up for gymnastics and swimming lessons and karate. We encouraged them to get involved not only in team sports, but also individual activities they found enjoyable. When the weather is nice, we take bike rides or walks in the neighborhood as a family. My husband takes the boys golfing. Exercise doesn’t have to involve joining a team or adopting a formal program. Any activity that gets your body moving is a great place to start. The more enjoyable it is, the more likely your kids are to stick with it. H ow do you recharge your batteries? I get up early, before the rest of the family, and spend 30 minutes doing something I enjoy. Sometimes I read a few pages of a good book or take a walk in the neighborhood. Sometimes I take that time to plan my day. It’s very relaxing to have a few minutes to myself before everyone else is up and moving. I’m lactose intolerant, so I avoid dairy. Should I take calcium, or vitamin D, or both? 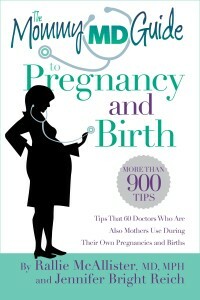 I’m pregnant and so exhausted I can barely string two sentences together. How did you make it through the day? I’m pregnant and I have heartburn 24/7. How can I cope? I’m pregnant and so swollen my ankles have disappeared. Should I be worried? I’m in my third trimester and really struggling with constipation. Is there anything you can suggest to help? It’s very important for me to nurse my baby. Is there anything I can do now to make it easier? I’m breastfeeding my 10-week-old daughter and have always noticed a white tongue due to the breast milk. For two days now, I have noticed small black dots on her white tongue. Is this a symptom of thrush? If not thrush, what could be the cause? How do I give my 14-month old an iron supplement? Whenever I try to give it to her, she just spits it out, and when I try to mix it into food or drink she refuses to take it then too. I am having trouble with my three-year-old daughter getting to bed before 10:30 p.m. She does not want to go to bed before that and has a lot of energy instead of being tired. She has been fighting sleep for the longest time. I feel that she needs more than 9 hours. Does eating chicken soup really help prevent colds and flu? My daughter is about to have my first grandchild. I’m so excited! How did you prepare to be a Grandma? My milk supply is getting low. What should my breasts look like when I finish pumping? Do you recommend sterilizing baby bottles?